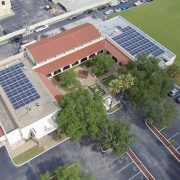 Freedom Solar Financial Services LLC, the first solar financial vehicle of its kind in Texas, has raised an initial round of $7.5 million in funding to finance commercial solar projects. Financing through Freedom allows companies to finance up to 70 percent of the cost of an entire solar installation and ensures that an investment in solar is cash-flow positive from day one. 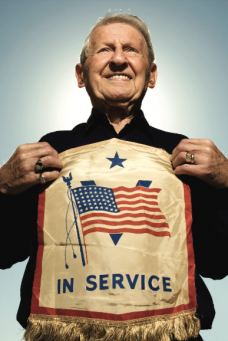 The company offers a simple one-page application and a rapid one-week underwriting process. Emancipet just returned from their second trip to Puerto Rico to provide much-needed medical care and spay/neuter services as part of #SpayathonforPR. The trip was a huge, record-breaking success; the team spayed/neutered 1,137 animals in just 7 days in challenging conditions. 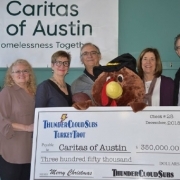 To help support these trips, and Emancipet’s work around the country including in Austin, Houston, and Philadelphia, go this link to donate: https://bit.ly/2B4hsND. 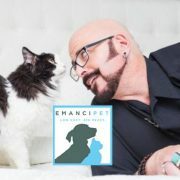 Emancipet, the nonprofit on a mission to make veterinary care affordable and accessible for all pet owners, was featured on “Cat Daddy” Jackson Galaxy’s television show My Cat From Hell on Animal Planet on Oct. 20. If you missed it, click here to stream the full episode. 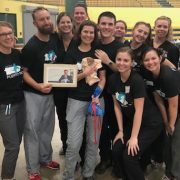 The episode was shot in Philadelphia, where Emancipet has a clinic, and featured CEO Amy Mills and Emancipet staff working with other nonprofits and volunteers to trap/neuter/release community cats (also known as feral cats). It was an emotional and dramatic episode and was the finale of this season of My Cat From Hell. During the show, Emancipet announced a new initiative and fundraising effort to help even more community cats and their caretakers in Philadelphia and the other four cities where Emancipet has clinics, and to help Emancipet expand to even more cities across the U.S. 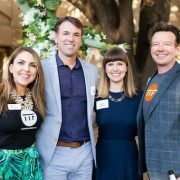 The Austin American-Statesman announced the winners of its inaugural “Best of the Best” Awards, and we’re thrilled to announce two of our clients won first place in their categories. Congratulations Dr. Michael C. Bell, DDS, PC on winning Best Dentist, and to ThunderCloud Subs on winning Best Sandwich Shop! 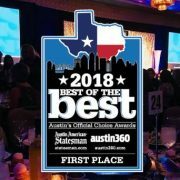 We’d also like to commend our clients who were selected as top three finalists for the Best of the Best Awards including Belmont Village Senior Living (nominated for Best Assisted Living Facility and Best Retirement Community), Emancipet (nominated for Best Veterinarian), and The Trail Foundation (nominated for Best Nonprofit).